If human beings could mimic the way plants make their own fuel, it's not a stretch to say that Earth's energy needs could be solved. The way leafs convert sunlight and carbon dioxide into life-sustaining chemical energy is a resourceful process, and scientists are attempting to do the same thing with artificial photosynthesis to produce the ultimate clean energy. The product would be a liquid – storable solar fuel that's extremely energy efficient to make, carbon neutral and leaves water behind when used. It is possible to make solar fuel from the same plentiful ingredients plants use: sunlight, water and carbon dioxide. But it's not a simple process. 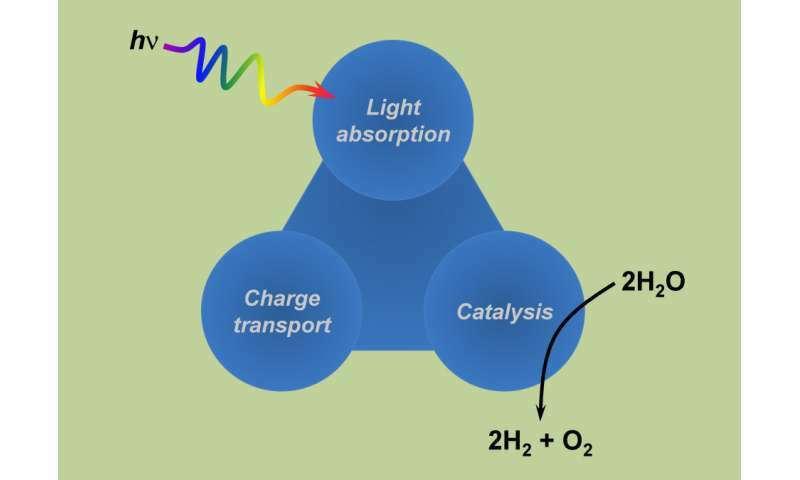 It involves splitting water molecules with a catalyst activated by the sun to produce solar fuel in the form of hydrogen gas or liquid hydrocarbons through the reduction of carbon dioxide. Scientists are investigating many of the current challenges such as finding an effective, cheap and earth-abundant catalyst, an efficient way to harvest light, harnessing and guiding electrons necessary to split a water molecule, storing the chemical energy produced and creating architectures that would bring together all the components in a complete, functional system. That last one is where Florida Institute of Technology's Michael Freund, professor and head of the chemistry department, and postdoctoral researcher Sakineh Chabi also of Florida Tech enter the picture. Much of their research is devoted to the development of membranes with electronic properties that can be integrated with light absorbers and catalysts. The membrane would serve as the factory for artificial photosynthetic systems—essentially an artificial leaf. Freund and Chabi recently published a review in the journal Energy & Environmental Science on the key roles different types of membranes can play in artificial photosynthetic systems. You can read the full paper here. A membrane-based production system is an exciting idea because the way components are integrated and spaced could reduce the impact of charge recombination and could reduce electrical resistances associated with ionic and electronic transport processes. In other words, membrane-based architecture acts as a "battery in reverse," said Freund. Instead of expending stored energy, the tiny factory within the specialized polymer actually makes and releases fuel for collection. These "artificial leaves" have the potential to separate each step of the conversion process while holding onto a significant amount of energy to make each chemical reaction efficient. Freund said there is still plenty of work to be done to make solar fuel a reality. While the science and chemistry are possible, it's still a costly and inefficient process. More refinement of the technology is necessary. But success, if achieved, could reshape society as we know it. "If we can reach these goals, the world would finally have a sustainable energy solution that could adequately fuel our growing population," Freund said.